Finally a use for those little rice cakes that are supposed to be healthy. 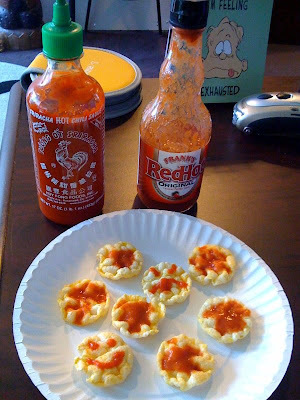 I think the Frank's Red Hot does the best job but the Rooster Sauce does offer more control of artistic expression. Are you giving out samples? I wanna try.